After months of speculation, it has been confirmed that Uber plans to acquire its Middle Eastern rival Careem in a deal worth $3.1 billion. The transaction value is expected to be a record for a Middle Eastern tech startup exit and among the highest globally for ride-hailing mergers and acquisitions. As part of this deal, which is expected to close in early 2020, Uber will acquire Careem’s mobility, delivery and payments business across the greater Middle Eastern region, which includes operations in Egypt, Jordan, Pakistan, Saudi Arabia and the UAE. After pulling out of major markets like China and selling its business in Southeast Asia to Grab last March, Uber has been seeking new avenues of growth. Careem itself has been in the news of late, making its aspirations to evolve into an everyday lifestyle app much more overt. In recent months, Careem expanded into new markets across the region as well as tier two cities. Careem also leveraged the existing infrastructure built out for its ride-hailing service to launch online delivery for goods and services with initial efforts focused on foodservice. It also launched peer-to-peer, closed loop and prepaid credit transfer services to its consumer base. More recently, it introduced a rewards program, giving its 33 million users points on all rides. To take advantage of this potential opportunity in the region, Careem aspires to become an app focused on a consumer’s daily needs. By leveraging the synergies that come from combining different services within the same app, Careem expects to drive greater operational efficiencies and an improved customer experience. “In a single platform, we can build a more holistic view of the consumer,” Sheikha explained in an exclusive interview with Euromonitor in February. Careem is evolving into what some in the industry call a super app, which is a do-everything mobile app, with the best combining all aspects of a consumer’s world into a single platform. These apps first emerged in Asia. While many super apps like China’s WeChat are rooted in messaging, others, such as Indonesia-based Go-Jek, and Singapore-based Grab started in transportation. The idea is that companies can leverage their existing infrastructure to generate new revenue streams and increase consumer engagement. An example of how Careem leveraged existing infrastructure is its $150 million investment to build out its delivery platform, Careem Now. Launching initially in Dubai and Jeddah, Careem’s existing 33 million customers will be able to log in automatically and have payment details and addresses auto populate into the app. While consumers can only order foodservice through the marketplace model today, it does plan to expand into the delivery of goods as well. Careem aspired to mimic what Grab and Go-Jek have been doing in Asia, but it has been facing competition from existing local players that offer similar services as well as Uber itself. 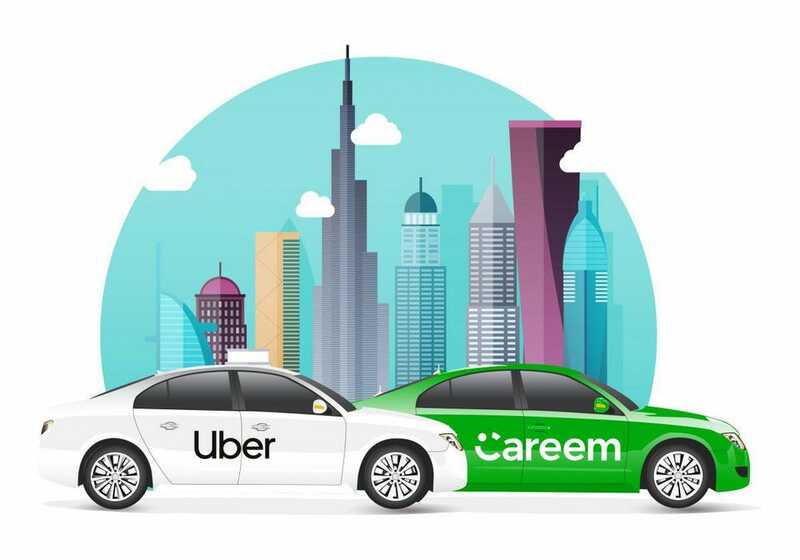 While the two are now joining forces, Careem and Uber will operate their respective regional services and independent brands, meaning Careem will likely continue its strategy toward becoming a super app. The acquisition by a global brand like Uber may help accelerate some of those plans for Careem while at the same time enabling Uber to take some of these local lessons to other countries where it already operates.